Art by Fred Lozano Jr. The wait for MIRRORLAND is almost over! 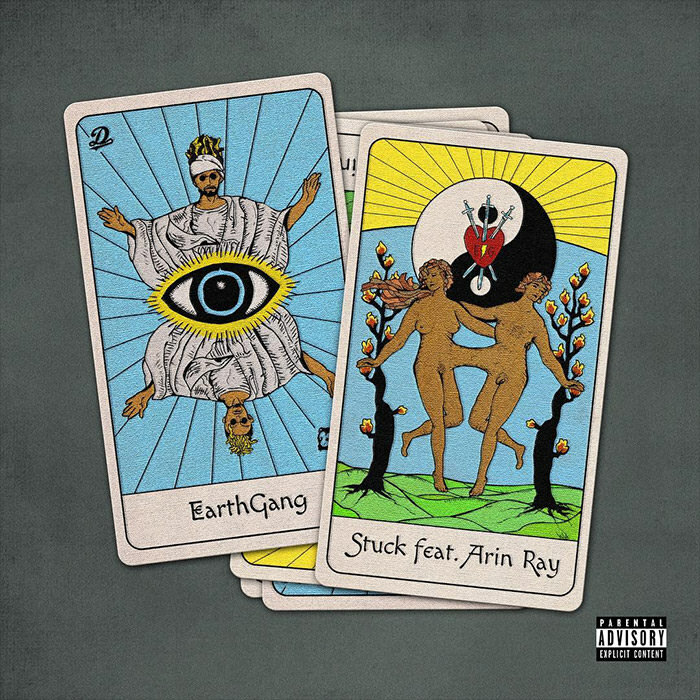 With RAGS, ROBOTS, and ROYALTY still in heavy rotation, EarthGang are gearing up to finally drop their full-length Dreamville debut on our heads sometime in the near future. After going all the way “UP” earlier this month, the Atlanta duo keep it rolling with a new song called “Stuck” featuring fellow DopeHouse favorite, Arin Ray. Produced by Elite, DJ Khalil, Ron Gilmore Jr. and Malik.